What is a Buyer's Agent and why do you need one? When shopping for a home it is important that you feel you can trust the Agent you are working with. After all, this is someone you may be sharing your personal, financial, and confidential information with as you work together in the home buying process. How is this level of trust established? How can you be sure that they have your best interest in mind, and that they will keep your information confidential? The answer is: You don't, unless they represent you as your Buyer's Agent. Our trained and experienced Buyer Representatives help our buyer clients find the right property for the right price. In Massachusetts, agents can represent either the seller or the buyer. When a seller lists their home through a real estate company, an agent from that company works with them as the listing agent for their property. The listing agent represents the seller, and the seller agrees to pay them a commission, which comes out of the proceeds of the sale. Potential buyers for the property may contact the listing agent directly, but they need to keep in mind that the listing agent works for the seller, and has the seller's best interest in mind when negotiating an offer. 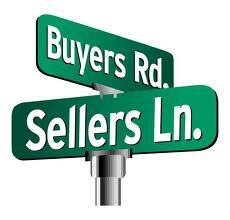 They are bound to disclose all information they gather about the buyer to their seller client. On the other hand, a potential buyer has the option of working with an agent of their own, who will have THEIR best interest in mind when negotiating, and who is bound to keep their buyer client's information confidential. When both parties are represented by their own agents, this is called a co-broke transaction. It is the most common type of transaction in MA real estate. When a co-broke situation occurs, this commission gets divided between both agents, therefore most often it costs a buyer nothing to hire their own agent. These same funds would otherwise have gone to the listing agent entirely. A Buyer's Agent provides a client-level service to the buyers they work with. This level of service includes fiduciary duties such as Loyalty, Full Disclosure, Confidentiality, Reasonable Care and Diligence, and Accounting. * A Buyer's Agent is legally bound to represent the Buyer's interest exclusively. * A Buyer's Agent assists the Buyer in writing and negotiating offers in the Buyer's favor. receives from their Listing Agent. unless they have written permission from their Buyer client. How does one hire a Buyer's Agent? This mandatory disclosure for all Real Estate licensees is to be presented at their first meeting with a consumer about a specific property. The purpose of this disclosure is to inform the consumer about their options when working with a real estate agent. Your MAssachusetts Real Estate Group Agent will present our promise in writing to you when you meet.